I have left New York and the DSE and I are ensconsed in the ‘old shoppe’ world of Long Island. In fact we are at the very eastern tip, Montauk. 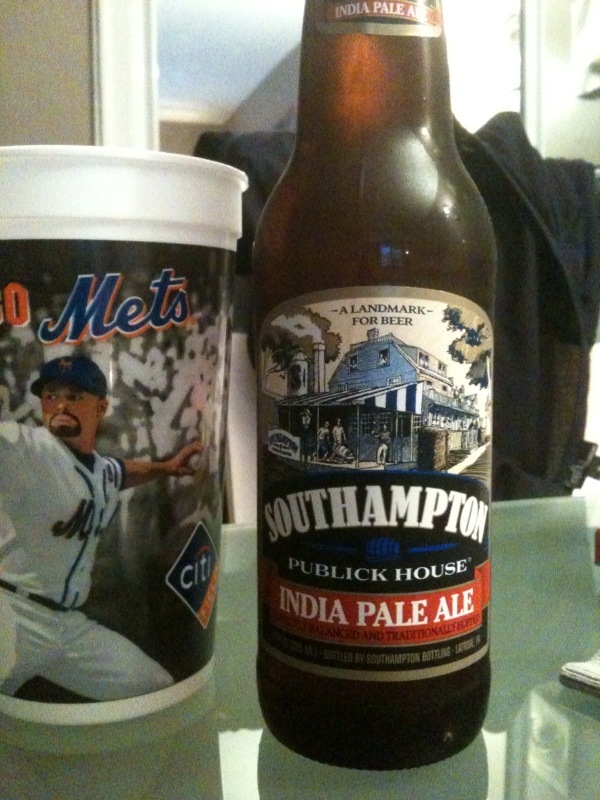 The Southhampton IPA I actually purchased in the city but it has its roots up this way. I drove past the ‘publick’ house that gives it its name. As an IPA it has a strong taste. In this case, a bit too strong. The first one is like sucking a lemon. The second one is a far smoother challenge (though that may be the 6.1% alcohol content kicking in). As for the Hamptons, most of my knowledge is Seinfeld based (“she’s never heard of shrinkage!”). It is beautiful but a bit too well manicured for me. Some of the property is simply gobsmacking. Huge estates and lots of private beaches (which seriously irk me). The Mantouk end is a little more blue collar but is pretty much closed for “the season”. However “The Dock” Bar and Restaurant is open for review this evening.